Norway, one of the most open governments in the world, has achieved one of the highest degrees of information integrity. In common with other Nordic countries, its aim is to make government as accountable, transparent and democratic as possible. Its unique achievements in protecting information integrity and making information easily accessible to citizens illustrate what is required and what can be achieved. Norway’s citizens are able to monitor what their government is doing, claim their rights effectively and play a significant role in influencing the affairs of state. Protecting information integrity is increasingly difficult and increasingly important in the digital environment. Digital information can be difficult to locate and authenticate; it can be manipulated, deleted, fragmented or lost, resulting in misguided policy, misplaced funding and cover-up of fraud. Information integrity does not happen automatically. It is achieved through well-defined control frameworks. Norway’s leading edge approach to information integrity is achieved through a powerful combination of interconnected laws, standards, well-defined metadata architectures and technology systems. Norway’s Constitution, National Archives Act and national record-keeping standard, and Freedom of Information Act work together provide the basis for Norway’s unique and powerful approach to high quality open information. Norway’s constitution, first adopted in 1814, has been amended over the years to reflect an ever-deepening commitment to openness and transparency. It emphasises citizens’ right to trustworthy information: ‘Everyone has a right of access to documents of the State and municipal administration and a right to follow the proceedings of the courts and democratically elected bodies. … It is the responsibility of the authorities of the State to create conditions that facilitate open and enlightened public discourse. The Noark Standard requires government agencies to register incoming and outgoing documents according to a strictly defined set of mandatory metadata that define which office and which individual was responsible for handling a given document and link incoming and outgoing documents. This makes it possible to trace actions by public bodies and makes it difficult to alter the documents. Electronic document and records management systems in the public sector must be Noark compliant. The latest version of Noark defines minimal mandatory requirements for achieving records quality and integrity in all systems and enables their on-going preservation. Platform independent and modular, it can be applied in a wide range of contexts, from the simplest to the most complex. For instance, it defines system functionality throughout the record lifecycle; provides metadata templates, sets integrity requirements for locking metadata and records; standardises processes for securing authoritative digital signatures; and provides guidance and rules for producing statistics and reports, identifying and authorising system users and establishing log and audit trails. 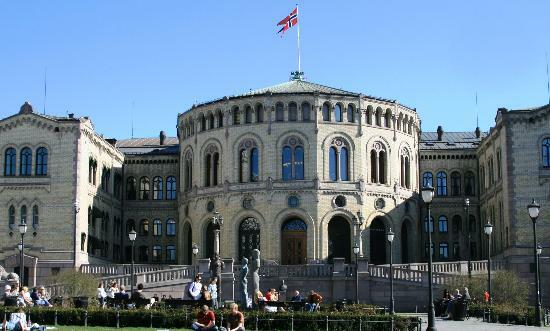 Norway’s Freedom of Information Act cuts across state, county and municipal governments. It interfaces with the Archives Act and Noark by requiring administrative agencies to keep and publish a register of metadata daily to an online access portal, the Offentlig Elektronisk Postjournal (OEP). The OEP, a central access point for government information, enables users to search all records across government for a given issue and make requests easily and rapidly. Anyone, anywhere in the world can request access to records through the OEP. See http://www.oep.no/. Within five to ten years of creation, records and associated metadata documenting their creation and subsequent alterations, are transferred to the National Archives digital repository, creating an audit trail of context and changes in status so that the records continue to meet legal, administrative, fiscal or other evidentiary needs over time. Metadata also provides the means of locating, interpreting and interrelating information and facilitating migration and conversion to new formats, software and hardware environments as necessary. Norway is committed to managing and making digital records accessible as a basis for transparency and openness. Its leading edge framework of controls are among the most advanced in the world but can be applied flexibly in different environments. While specific to Norway, the essence of the controls could be extracted and scaled to different needs, for example lower resource country requirements, especially as Norway’s systems are open source. In this way, Norway’s contribution to Open Government is potentially enormous. Constitution of the Kingdom of Norway, Article 100.